The National Innovation Company (ENISA) has granted Devicare a loan of EUR 270,000 in order to support its expansion plan. This amount is allocated from the ENISA Entrepreneurs line of credit, which finances innovative SMEs so that they can invest in and develop their projects. The maximum loan amount granted is EUR 300,000. This year the company expects to obtain sales of 1.1 million euros and introduce the Lit-Control® line on new international markets, as well as consolidate the Tao-Control® service in Spain. The Devicare staff currently consists of 20 professionals. This is not the first time Devicare has received support from ENISA. At the end of 2013, it signed a Young Entrepreneurs loan for EUR 75,000, which enabled them to move forward in the development of Lit-Control®. 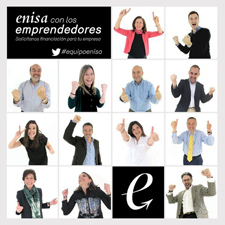 The company was also one of the winners of the 2014 edition of the Entrepreneur XXI Awards in Catalonia (promoted by “la Caixa” in collaboration with the Ministry of Industry through ENISA). Carmen Cuesta, Communications and CSR Director at ENISA, pointed out that, “we committed to Devicare from its earliest phase and, in light of its trajectory and the results it has achieved, we are backing them a second time in order to boost their growth and the internationalization of the company”.